Before hitting the road this summer, you can take several simple precautions to keep your family safe and save money at the pump. Extreme heat and long drives can be tough on cars. Cracked hoses, leaky radiators, under inflated tires and dirty filters can significantly lower your fuel efficiency, or worse, lead to a total breakdown. Tires – Tire pressure changes with rising temperatures, under-or over-inflated tires put you at risk for accidents, blowouts and flats. Check your owner’s manual to make sure your tires are inflated to the manufacturer’s specifications. This will help you save money at the pump, too. Properly inflated tires increase your vehicle’s fuel efficiency by up to three percent. 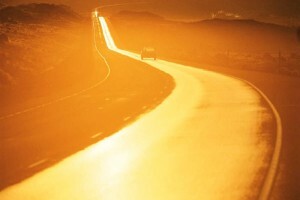 Oil – Cars are more likely to overheat in the summer. But it’s not just the hot temperatures that cause overheating. Heavy driving can also cause your engine to overheat. 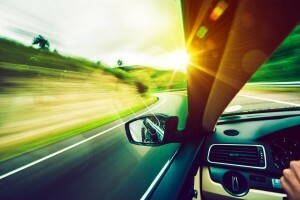 Prepare for hot days and long trips by giving your car a thorough systems check. An oil check is a good place to start. If the oil is a dark color or there’s a lot of dirt and grime present, it’s time for an oil change and filter replacement. Check your owner’s manual for guidance. Fluid levels – Fill coolant, transmission, differential, power steering and brake fluids to suggested levels. It’s not a bad idea to look under your car for any fluids that may be dripping. If you see any, there’s a good chance you have a leak. A reputable service station will tell you what’s wrong and give you an estimate for repair. Hoses and belts – Check hoses for cracks, leaks, and loose connections. Hoses should be firm, especially where they are most vulnerable near clamps that connect to the radiator or engine. Soft or flexible hoses often indicate a problem. Likewise, check belts for cracks and damage. A smooth or slick belt may be a sign of excessive wear. Material should not be separated into different layers. Talk to your mechanic about replacing them when necessary or consult your owner’s manual for instructions on how to do it. Brakes – If your brake pedal is soft and mushy, hard and resistant, or produces loud and constant scraping noises, it’s likely time for new brakes. Fixing brakes in a timely manner can prevent more costly problems in the future. Air conditioner – Air conditioning units should be serviced every three years or as needed. The most common cause of a malfunctioning air conditioning unit is a low level of refrigerant. Have a professional check your A/C unit for leaks and evaluate refrigerant levels. Air filter – Inspect your filter. If it’s filthy, replace it. A dirty or blocked air filter is hard on the engine and lowers fuel efficiency. Drivers who do a lot of driving on dirt or gravel roads may need to replace them even more frequently. Windshield wipers – If wipers are cracked, torn, or leave streaks, replace them to maximize your visibility during severe summer storms. Give your car a thorough cleaning, inside and out, including the underside of your car where accumulated grime and dirt can make your engine and transmission unnecessarily hot. Cleaning the inside of your car will give you a more comfortable ride and potentially lighten your load by eliminating unnecessary items. Keep in mind, it’s not a bad idea to take your car to a mechanic for a quick tune-up and maintenance check before a long road trip. That way, you can enjoy your journey from the safety of your car, instead of the side of the road. A thorough inspection of your vehicle during the fall months will go a long way toward ensuring safety and dependability when temperatures drop and severe winter weather strikes. A routine maintenance program also makes financial sense, extending useful vehicle life and helping avoid costly repairs down the road. October is Car Safety Month, the perfect time to fall into a vehicle maintenance program and get your car ready for the challenges of harsh winter weather. Canadian winters are notoriously harsh and throw all kinds of weather our way, sometimes making driving a harrowing adventure, so it’s important to be prepared. 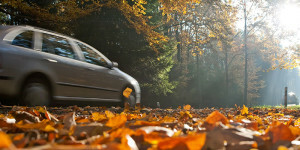 Here are some tips to ensure that you and your car to make it through the season unscathed. Switch to a winter weight oil. Viscosity varies with temperature, so your car may benefit from a different weight of engine oil in the winter. A lighter weight engine oil will improve engine start-up and provide better lubrication during the colder months. Check your tire pressure. Be sure to check the pressure of your tires (including your spare tire) at least once per month this winter – every 5°C change in temperature results in about a 7_kPa (1 psi) change in tire pressure. Properly inflated tires last longer, make your vehicle safer to drive and can improve your fuel efficiency by 3.3 per cent. Keep your gas tank at least half full. Maintaining at least a half tank of gas will limit condensation in your gas tank and prevent your gas line from freezing during the colder months. Adding a little gas-line anti-freeze every second fill-up can also help to prevent freezing. Check and/or replace your battery. Very cold temperatures will reduce your car’s battery power, so it’s important to keep the connections clean, tight and corrosion-free. If your battery is more than five years old, you should also consider replacing it with one that is rated as high as the one specified in your owner’s manual. Use the right coolant. 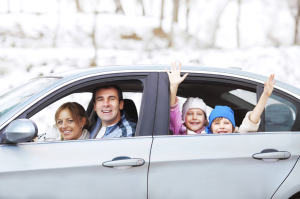 As strange as it sounds, your cooling system is one of the most important things to watch during the winter. In most parts of Canada, a 50/50 mix of coolant and water keeps the coolant from freezing, lubricates the water pump and protects the cooling system from corrosion. In very cold areas you may need to change the concentration, but your coolant concentration should never exceed 70 per cent. Check your brakes. When you need to stop on slick and icy roads, every second counts. Check your brakes for wear and tear and buy yourself some time to stop by replacing worn brake pads. Test your exhaust system for leaks. Leaks can be especially dangerous during cold weather driving when windows are closed. Be sure to check your exhaust system at least once per year to stay safe. Check your lights. Over time, your lights may dim or burn out completely and the plastic in your light covers will degrade and cloud, leading to distorted and dimmed illumination. Be sure to replace both your bulbs and light covers to maintain high quality lighting. Waxing your headlight covers can also help prevent the build-up of ice and snow on your lights during the cold and dark winter months. Avoid using cruise control. You should never use your cruise control on wet, snowy or icy roads. If you hydroplane or skid, your tires will rapidly spin as your car accelerates to maintain its speed, and you are more likely to lose control. Pack an emergency kit. Never leave home without a safety kit in the winter. Make sure that you have a shovel, a snow/ice brush, jumper cables or a battery pack, extra windshield washer fluid, and warm clothes or a blanket in your trunk in case you get stranded. See our Emergency Preparedness page for a more detailed list. Winter driving is no funny business, so be sure to slow down, be patient, and remember that there is no shame in being overly cautious. If you feel uncomfortable continuing to drive in poor weather conditions, pull over and wait it out or just stay home.